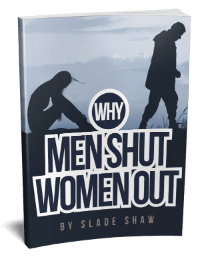 When men don’t talk enough, women often feel rejected. Is there a fix to this common source of couple’s conflict? First, let’s consider the source of the problem. There’s a common assumption that women talk more than men—much more! But this may not be true. First, who talks more depends a great deal on the situation. Most studies report that women tend to talk more than men at home. In professional settings, the opposite holds true. 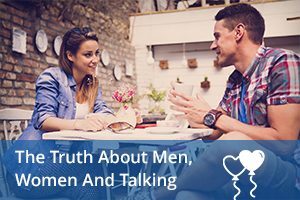 Here, men tend to talk more than women. But even where there are differences, the differences are minor. So if women do not actually talk more than men, what’s the real problem? All couples have conflicts. But conflicts about communication are among the most common. Just ask any couples therapist! Some researchers suggest that the amount of talking is not really the issue. That’s right—it’s not about how much she is talking or how little he is talking. The real problem is how women and men feel about the presence or absence of communication in their relationship. Have you ever been worried because your guy seems too silent? Have you even wondered if he’s hiding something? Maybe an affair? If so, you’re not alone. For women, feeling great about a relationship has a lot to do with talking. By contrast, men are far less likely than women to take talking into account when evaluating the quality of a relationship. Okay, so let me show you what’s at stake in your relationship. Women and men talk about the same amount. But expectations for when you should or should not talk differ by gender. Also, while women tend to consider talking to be a key ingredient of a strong relationship, men generally do not value communication to the same extent. Okay, so what’s the fix? Chances are that no one is going to solve this age-old dilemma. But the situation is not hopeless. First, don’t assume that a silent man has something to hide. If he’s not talking, he probably just enjoys being in your company. Really! Second, don’t assume that silence is equivalent to not listening. If he’s not talking, he may be listening more intently, contemplating what you share. Finally, don’t assume that communication is only about talking. Communicating without talking can take many forms. Active listening is part of this equation. So are eye contact, touch and other forms of intimacy. Finally, don’t forget that in many cases, actions do speak much louder than words. If you get just one thing out of this discussion, let it be this. Silence does not always mean something is wrong in your relationship. 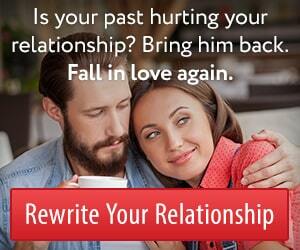 Your man may just have less need to process his thoughts aloud. Tap into his genetics. He’s wired to talk more when he’s on a mission to accomplish something. That’s why men talk more at work. They see a point to it. They are trying to accomplish something. So grab hold of that quirk we men have. Make it work in your favor. Instead of launching into trivia about something a friend said, ask what he thinks it means. Instead of describing details about your day, ask what he wants to plan for the weekend. Instead of mentioning something you heard on the radio, challenge him to guess your three favorite radio stations. What do these three examples have in common? A mission. A tiny little mission that engages his desire to talk. This entry was posted in Communication, Relationships and tagged communicating by James Bauer. Bookmark the permalink. Wow, that’s an excellent tip, James! Thank you, I will use it from now on! I had read that men don’t connect by talking, but I needed to witness it for myself to really believe it. Two summer ago, I was on a beach, and there was a nice gay couple next to me. They were just laying there, NOT multitasking and NOT talking to each other, simply sunbathing. I was reading while also thinking about a guy I liked at the time AND observing my neighbors with the corner of my eye. At first I assumed that they weren’t talking to each other because they were upset. Then I noticed they actually looked relaxed and happy, and there were little signs of affection from time to time. I was intrigued. If they’re not upset, why aren’t they talking to each other?? They stayed like that for around two hour before one of them took out some food and they finally started chatting a bit as they ate. Then it finally hit me: THAT’s how men connect – by simply being present in the moment. No need for the endless chattering that we women resort to… That afternoon at the beach and those two gay gentlemen really helped me in my love life, and your article reminded me of that, and confirmed my observation. Thank you, James! Thank you James for sharing this. I have a situation where I have befriended a guy. He talks about anything, holds good conversation but cannot talk about how he feels. He has told his friends he likes me a lot. I one day told him I will greet him with a hug after hugging him, and said that will be my way of saying goodbye too. I first kissed him on the neck, next cheek then the other day lips. I normally see him at his workplace. He’s never initiated a date or anything. One day we hugged and when I was about to kiss him, he pulled back. The next day he said he thinks we shouldn’t hug at his workplace. That’s where we meet. I got confused. To me it was like he just doesn’t want me. A hug doesn’t harm. One thing he mentioned was that he is not use to hugs. Is this normal for a guy who is straight? Meaning who is not gay? I started having doubts, thinking maybe he’s gay but is not coming out. Why would someone not express his feelings and not even have any action? Such situations make one thinks that he is hiding something. Hi Lola. Many men feel uncomfortable with displays of affection (like hugging, holding hands, or kissing) in their place of business. It makes them feel vulnerable around people they “compete” with. I have a similar and relevant situation. I met my (dutch) guy traveling and through texts he is so expressive and actually said “i love you”. But in person, I have to almost force him to kiss me! He is definitely not a touchy-feely guy either. In the beginning of us dating, I even questioned (several times) if we were just friends since I’m so used to dating men who are a lot more aggressive. It may be his culture? Or him? How do I get him to warm up to me so he knows he can touch me? lol I think he’s just shy??? Or just very respectful?? Use that phrase several times to encourage any small step toward physical connection. For example, when standing close and making eye contact…”I like it when you pull me closer.” Then take both his hands and put them behind your own back…waiting for him to do the rest. It sounds like a statement, but really it’s a request. It’s “permission” for a shy guy. Thank you for the info. It makes me understand more about men.